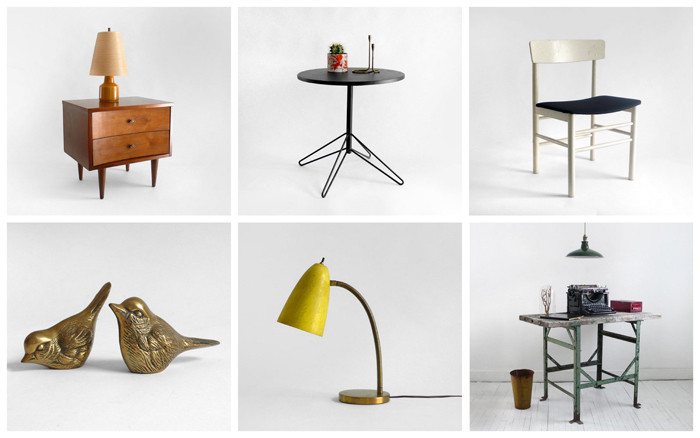 Hindsvik is a very cool vintage shop on Etsy run by owners Daniel and Valeria. All the items look like they are in exceptional condition, and they did all the digging ahead of time....all that's left is the proverbial cream of the crop. At Hindsvik, you can expect to find a well-curated mix of vintage and modern furniture and home decor. If you are looking for a unique housewarming gift, special mid-century piece, or even a giant wood alphabet cut out, your search is officially dunzo. what a cool shop! thanks for sharing! love the birds.hopeful & eternal . Adding to favourites now. I was just thinking I need to get active on Etsy again, you always find the best things.